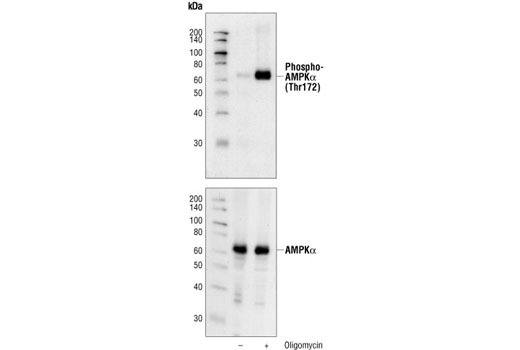 Western blot analysis of extracts from C2C12 cells, untreated or oligomycin-treated (0.5 µM), using Phospho-AMPKα (Thr172) (40H9) Rabbit mAb (upper) or AMPKα Antibody #2532 (lower). 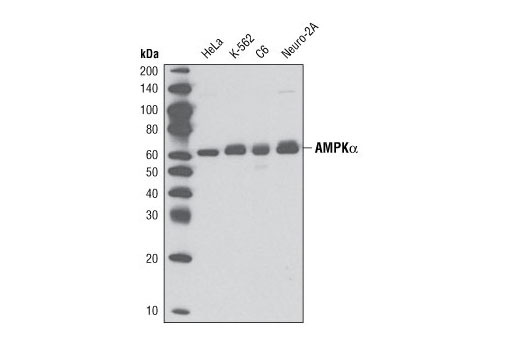 Western blot analysis of extracts from HeLa, K-562, C6, and Neuro-2a cells using AMPKα (D5A2) Rabbit mAb. 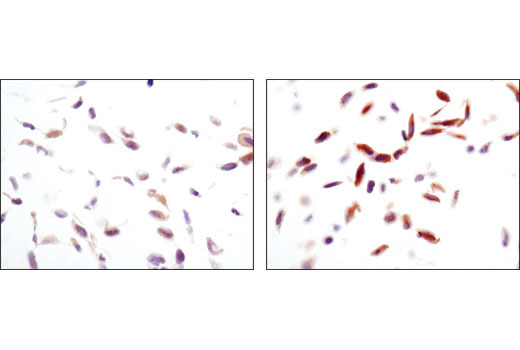 Immunohistochemical analysis of paraffin-embedded NCI-H228 cell pellets, control (left) or phenformin-treated (right), using Phospho-AMPKalpha (T172) (40H9) Rabbit mAb. 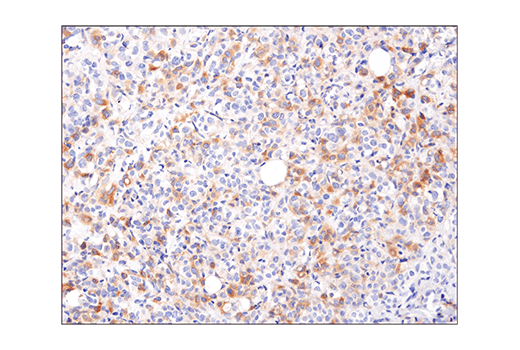 Immunohistochemical analysis of paraffin-embedded human breast carcinoma using Phospho-AMPKα (Thr172) (40H9) Rabbit mAb. 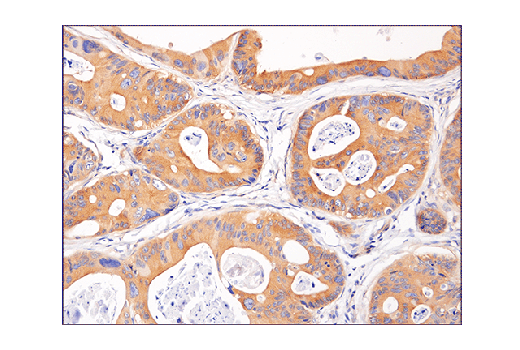 Immunohistochemical analysis of paraffin-embedded human colon carcinoma using Phospho-AMPKα (Thr172) (40H9) Rabbit mAb. 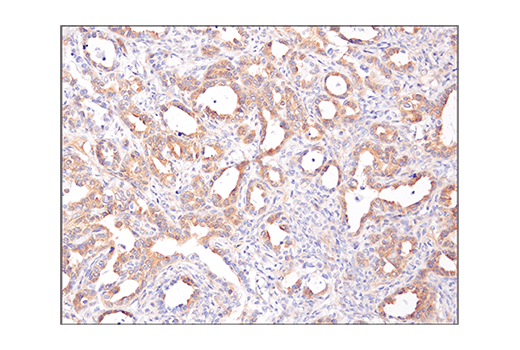 Immunohistochemical analysis of paraffin-embedded human ovarian carcinoma using Phospho-AMPKα (Thr172) (40H9) Rabbit mAb.